New “Social Media for Meetings” Publication now available! Social media is here to stay and has drastically changed the media landscape in just a few years. Facebook now has 1.06 billion monthly active users, Twitter has 500 million total users, LinkedIn has 200 million users, Google+ has 343 million users, and the social web keeps on changing and growing in a fast pace. The widespread use of social media has fundamentally changed how people communicate and share information. Social media provides new opportunities for personal and direct interaction with your audience, increased exposure and improved online search results. Instead of only sending one way messages to our target audience we are expected to engage in two-way communication. Social media form a natural extension for the meetings industry, as it facilitates an online extension of the offline discussion at a meeting. Studies performed by amiando (www.amiando.com) in 2011 and 2012 shows that the meetings industry is quickly embracing social media. Starting out with social media might seem a daunting task, and you might think that you’ve already missed the bandwagon. But don’t worry, although social media is indeed skyrocketing and new social sites seem to be appearing every day, in the end this is actually good news for you! Why, you might wonder? Because now for the first time, you have the possibility to reach out to hundreds and thousands of (potential) attendees! With the right social media strategy in place you too can harness the power of social media and turn your next meeting into a success both offline and online! The new ICCA Association Resource Publication “Social Media for Meetings”, which has just been published, will help you to define the social media landscape of your meeting and gives you practical tips for developing a strategy on how to start using social media to facilitate an online discussion before, during and after your upcoming meetings. 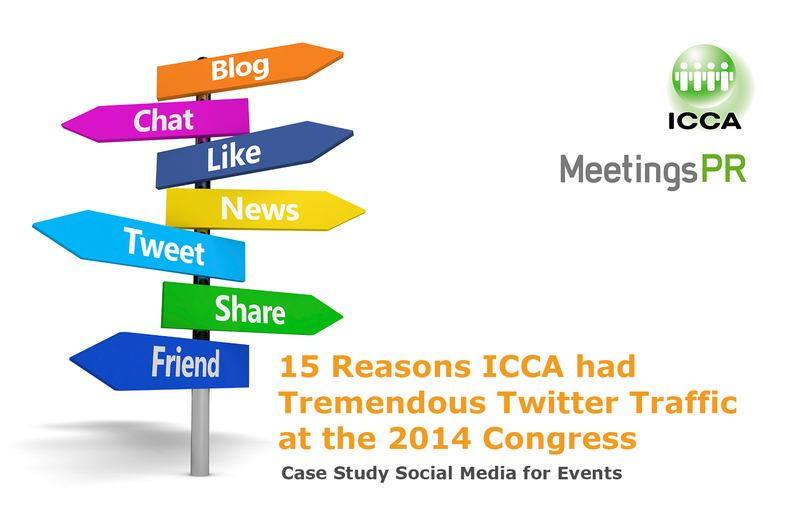 Compared to our 2010 congress, social media activity was buzzing during the 50th ICCA Congress in Leipzig, Germany. So what did ICCA do to get this buzz going? In fact, it was not that difficult; we just got the basics right. The meetings industry is still in an early adoption phase of using social media for events and there is a lot of hype around social media. We just used our common sense and just did it. 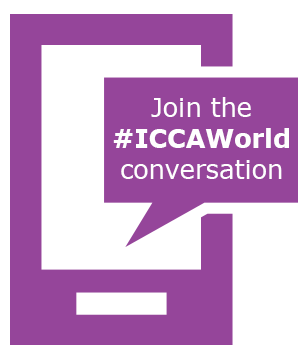 We hope this #icca11 case study will inspire you organise your social media activities for your event.